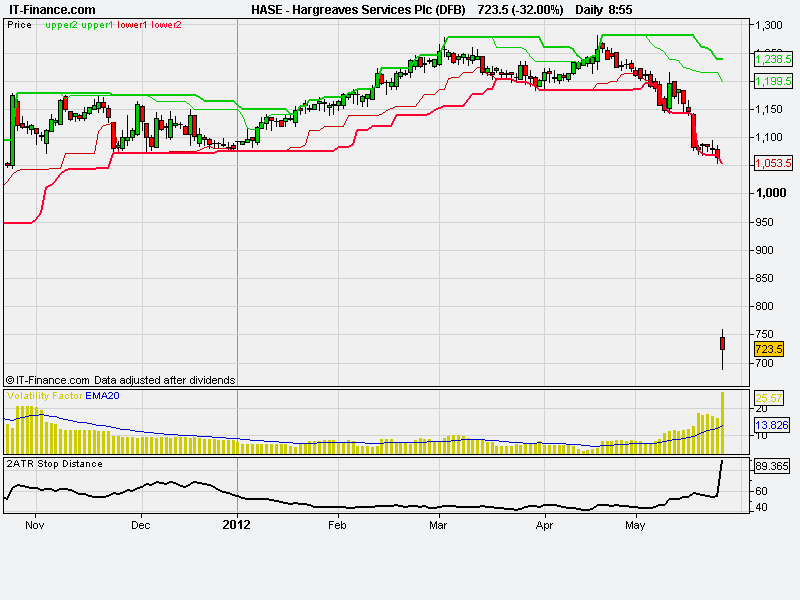 Another winner today on the short side is UK stock Hargreaves Services. The chart shows a nice consolidation with a failed breakout to the upside in April, before starting a new downtrend early in May, as a prelude to a sharp fall on a trading update released this morning. Again, the system scans I use identified this when the intial downtrend was signalled, and you would be sitting in a nice profit.